The most beautiful season of the year is here! 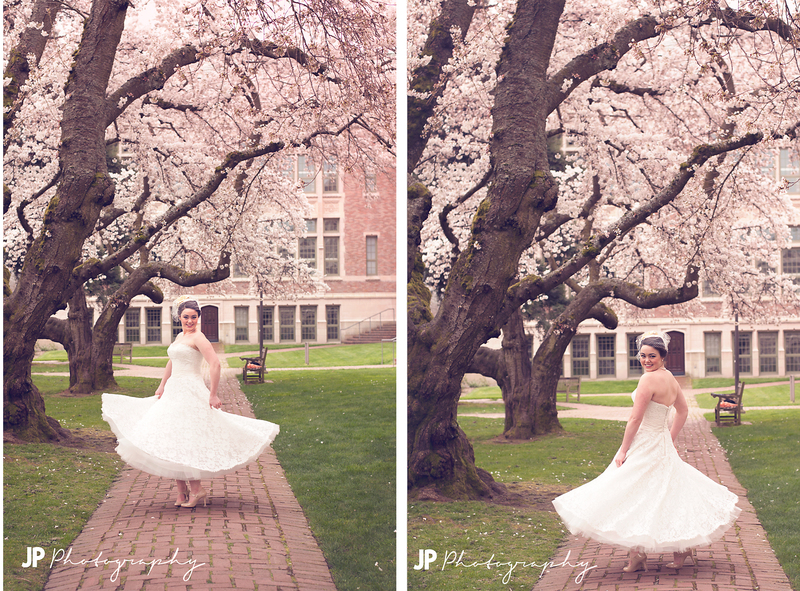 Flowers in full bloom, the excitement of finally seeing sunny days, and WEDDINGS! So glad spring has arrived! 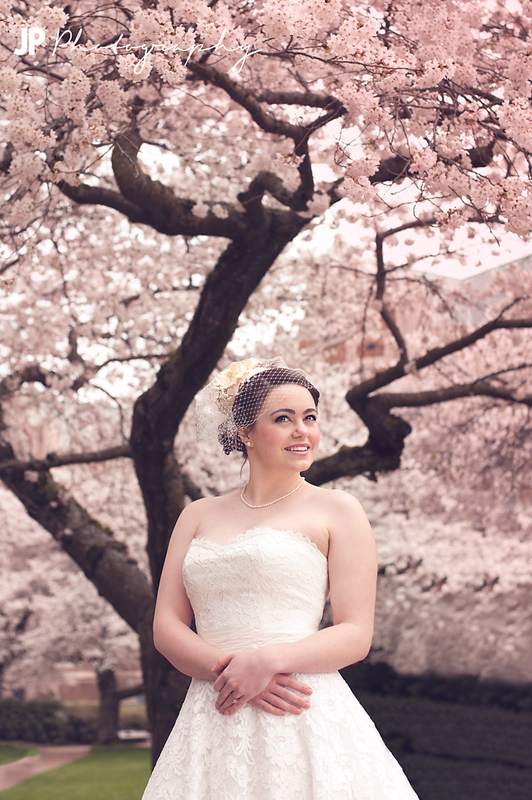 Last week some photographer friends and I decided to take full advantage of all of this springy-ness. 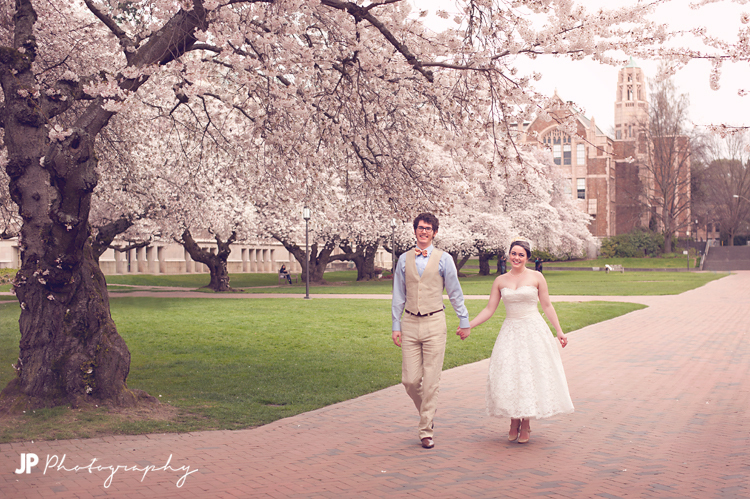 We got together at the University of Washington where we knew the iconic cherry trees would be in bloom. In a photographer’s world this was basically the perfect day… the weather was so warm, the campus was gorgeous, and we were enjoying it all in each other’s company. For me, that last part was much appreciated because rather than dragging my very patient husband along with me (love you!) I knew I was spending time with others that were enjoying it just as much as I was. I wasn’t worried about rushing to get my shots in and saying “Let’s just take one more” way more than one time :) We all could have shot there all day, and it just made for such a fun time! I haven’t even gotten to the best part yet. 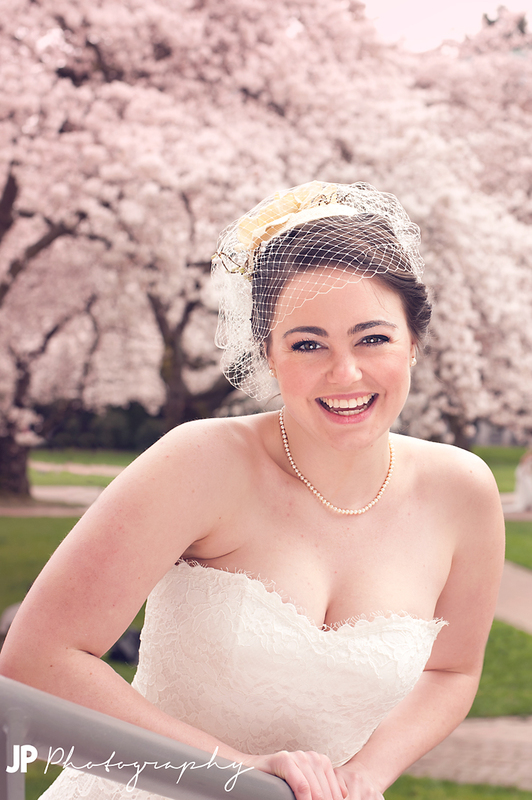 In order to take full advantage of said springy-ness we needed one more component to complete the perfect day… BRIDES!! We had two beautiful brides model for us, and even one brother-in-law-groom (I’ll get to that later :) My only regret of the day was that I did not make enough time to photograph both beautiful brides. I did get the opportunity to steal Ari away for a little bit and we got some great shots! 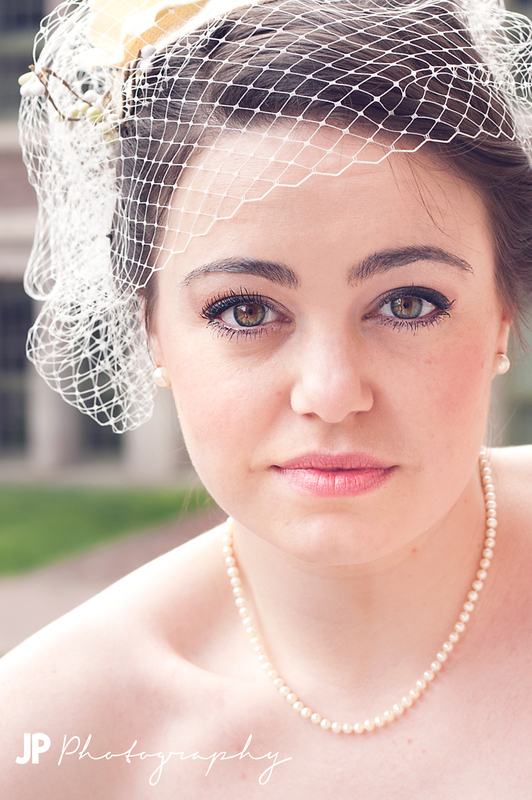 Ari was lots of fun to work with and such a stunning model! 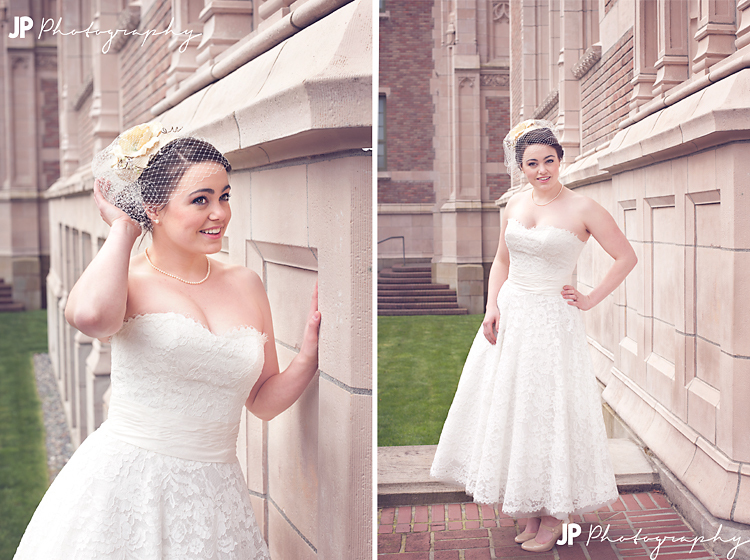 She has such a great look and style – basically the perfect cover girl for any bridal magazine! And her eyes are super gorgeous! Ari has truly been a bride and is married, but this is where the “brother-in-law-groom” comes in :) Her husband’s brother lives in Seattle and stopped by to visit Ari while we were on campus. Of course photographers can’t turn down the opportunity to photograph and bride AND groom ;) so her brother in law was such a great sport and lets us snap a couple quick shots of the two of them strictly for modeling purposes! 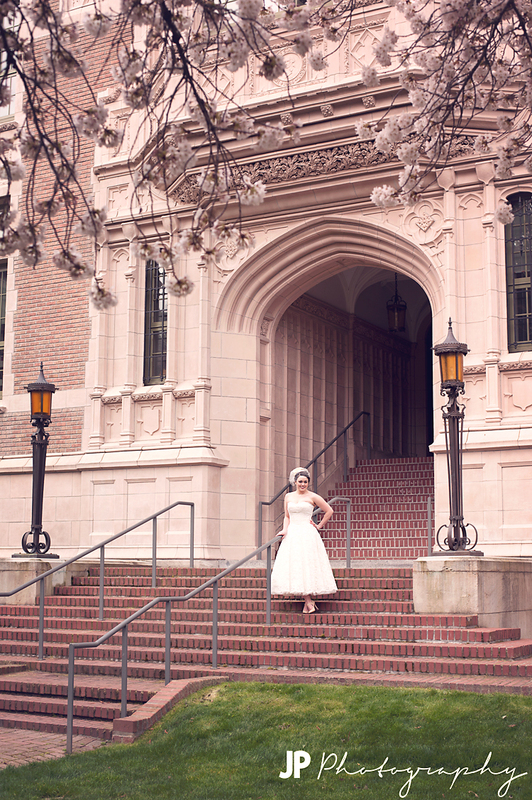 Categories: Wedding | Tags: adventure, bridal, Bride, Cherry Blossoms, couples, fun, Groom, outdoors, Photographers, photography, photoshoot, seattle, special, UW, wedding | Permalink. SO, so, so Pretty! HOW awesome and as another photographer can I share just how jealous I now am? Really. Those are excellent shots and I bet you guys had a BLAST! Now if spring will just come out east and stay for more than a day, I would be way less jealous. Wow Jennifer, these images are really lovely and ethereal! Love your lighting, especially in the first shot.